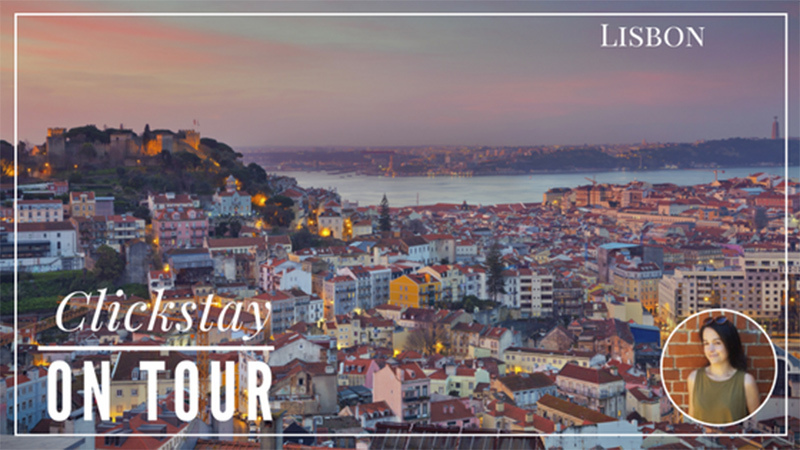 Lisbon is a city made for peacefully strolling along cobbled lanes amongst looming gothic buildings and rolling hillsides. It’s one of the oldest cities in the world, predating London, Paris and Rome. It’s a place for the curious mind, with something to discover around every corner, whether it’s a fresh seafood restaurant or a scenic city view atop one of Lisbon’s trademark seven hills. 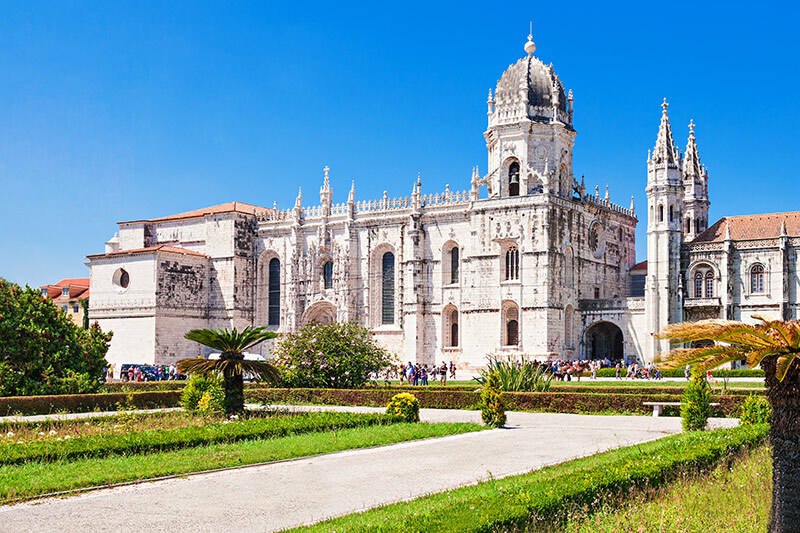 Clickstay’s Sophie visited Lisbon recently, and these are some of the things she thinks you won’t want to miss on your visit to the famed Portuguese city. Who did you go to Lisbon with? My husband and our two children, aged 10 and 7. How did you get around Lisbon? To get to our apartment, we took a taxi from the airport, which cost less than 10 Euros. The metro system is also very good and we returned to the airport from the town centre that way. It’s worth getting a Viva Viagem card (from kiosks or metro stations), which is essentially a travel card that you load up with credit and then use each time you get a bus, tram or metro train. It’s much cheaper than paying for each trip individually, something like half price. In the city itself, we mainly got around on foot. 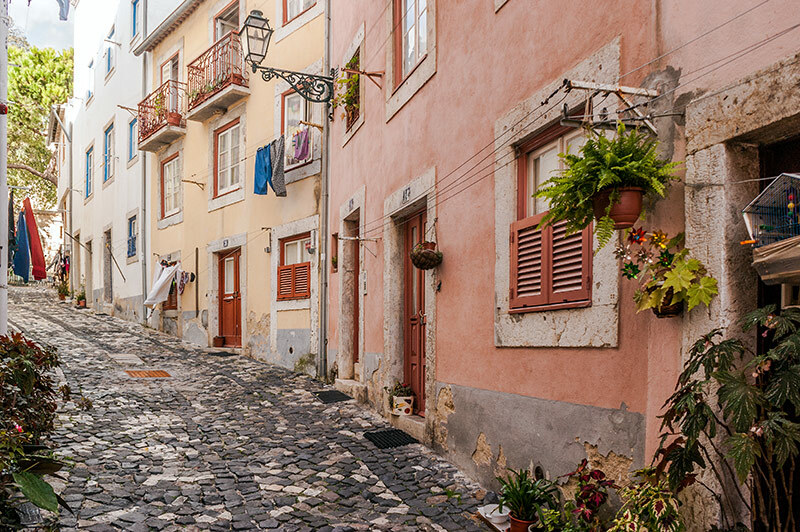 Many of the loveliest parts of the city, such as Alfama, have cobbled, very steep streets, so very young children might find this hard work (and pushing a buggy around I imagine could be exhausting). We would look at the map and think that something was quite easy to get to on foot but this was often quite misleading due to the hills that had to be conquered to get there! We were staying very close to the castle – up on a hill, of course – and discovered on our first day an elevator which took care of much of the climb between where we were staying and the town centre. There are a few of these “elavadores” including the famous yellow Lisbon trams which can zip you up some of the steeper hills. We went at the very end of October and the weather was fantastic – t-shirt and shorts weather. We could sit outside at restaurants well into the evening. How did you spend your days? 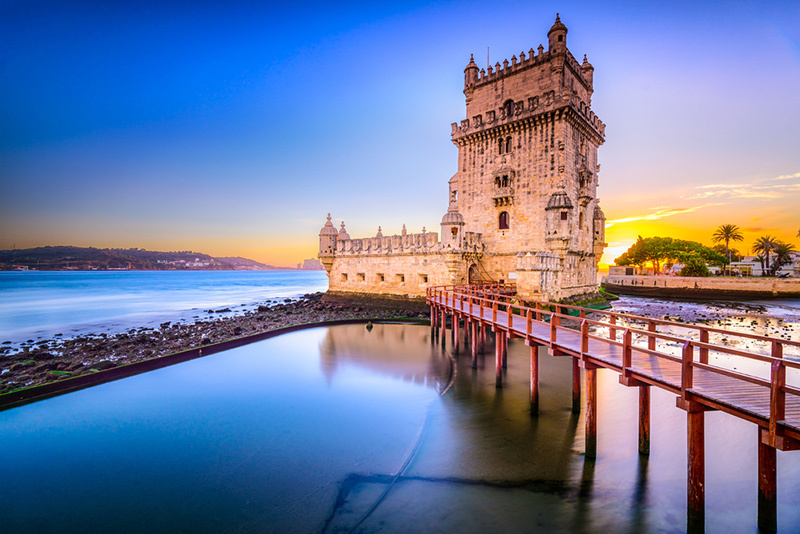 We went to most of the “must see” sights, including the beautiful monastery, Belém Tower, the castle. We did an awful lot of walking around through the narrow streets, coming across amazing views of the city (miradouros), and stopping for ice-cream or a pastel de nata (the famous Portuguese custard tarts). I will reiterate that we did A LOT of walking – I think we’d have all taken better shoes if we’d known (I had to throw my flip-flops away at the end of our holiday as they were worn through!). We also did a day-trip to Sintra, which was great. We nearly didn’t bother as if felt like quite an effort to get there, but we were all really glad we did. 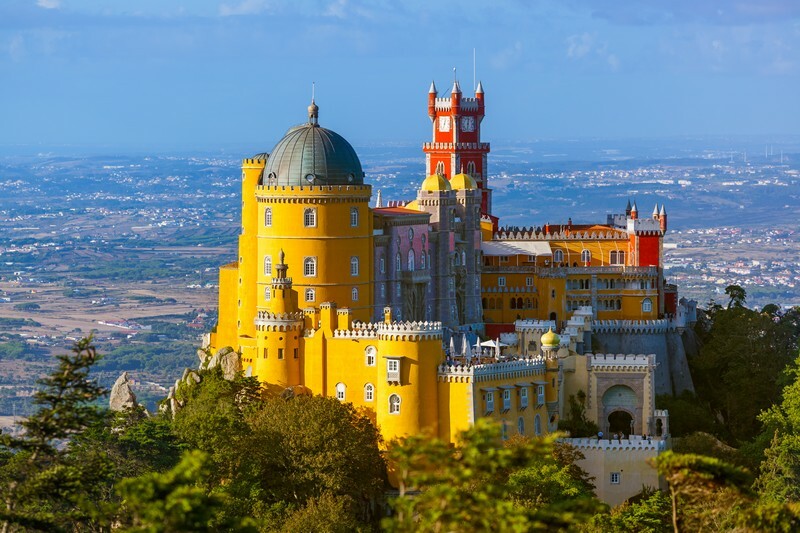 Trains run every half an hour or so from Lisbon’s main station, Rossio, and then from Sintra town you can take a bus up the hill to the fabulous Pena Palace. You can also walk up if you are feeling energetic – we did the walk back down; this was an amazing journey through beautiful, steep parkland, but we were pleased we hadn’t attempted the ascent. 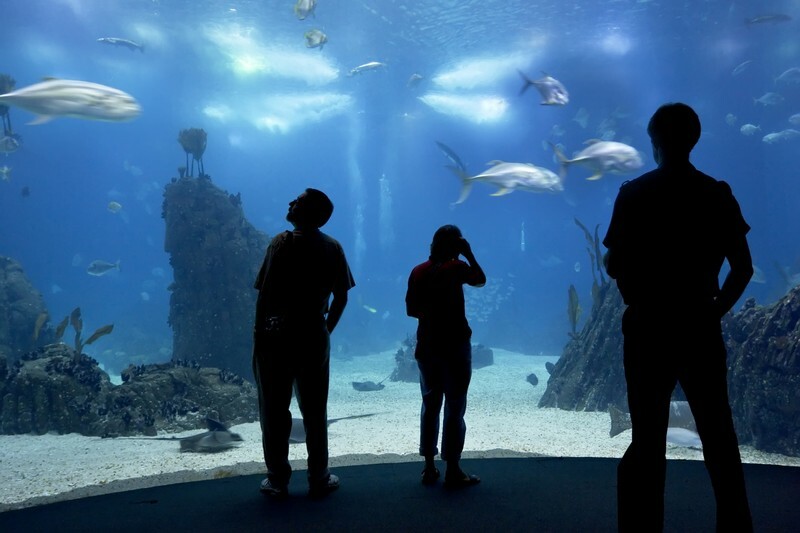 For children, the Oceanaria in Lisbon is fantastic and worth a visit. It is a bit of a detour out of town but it is very close to the airport on the metro system (about three stops away), and has luggage storage facilities, so we stopped there on our way to catch our flight home. Would you recommend going to Lisbon with children? Absolutely, without question - it was one of our best holidays so far. With hindsight, if I were to go back I would do what friends of ours did, which is to stay in the former fishing village of Cascais. Cascais is a beach town only half an hour on the train from Lisbon, and only 20 minutes from Sintra. I think this would be the ideal family holiday – a few lazy days on the beach, and a few energetic excursions exploring Lisbon and Sintra. 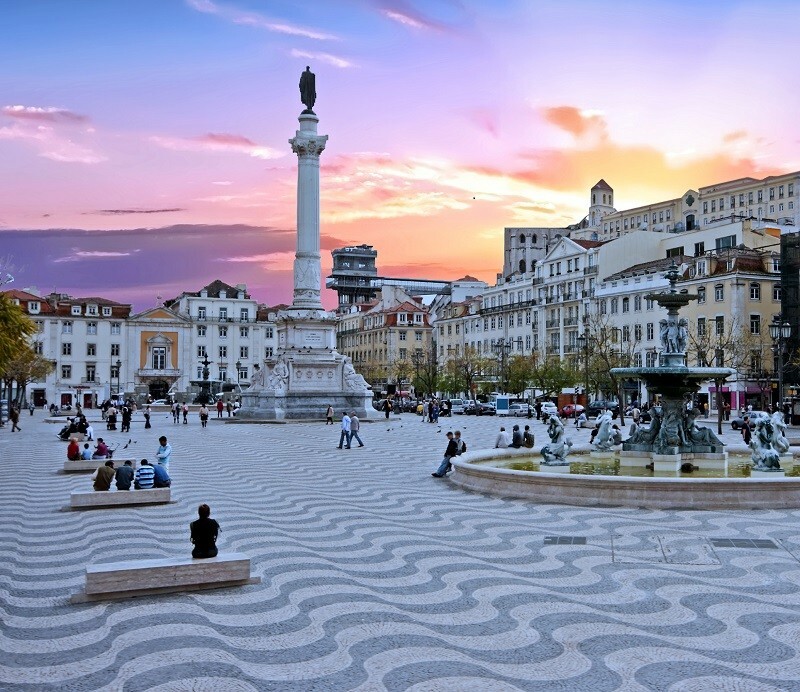 What will you discover on your next trip to Lisbon?